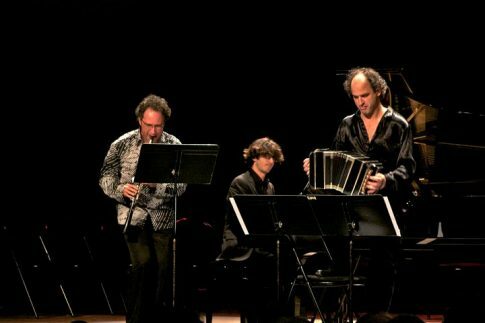 Tango Factory is a unique Tango ensemble, a collaboration of four exceptional musicians, brought together by Marcelo Nisinman & Chen Halevi. Marcelo Nisinman is joined by virtuoso Israeli clarinetist Chen Halevi, Matan Porat at the piano and Winfried Holzenkamp at the double bass. They perform mainly Marcelo Nisinman’s original compositions and arrangements, as well as some pieces by Matan Porat.